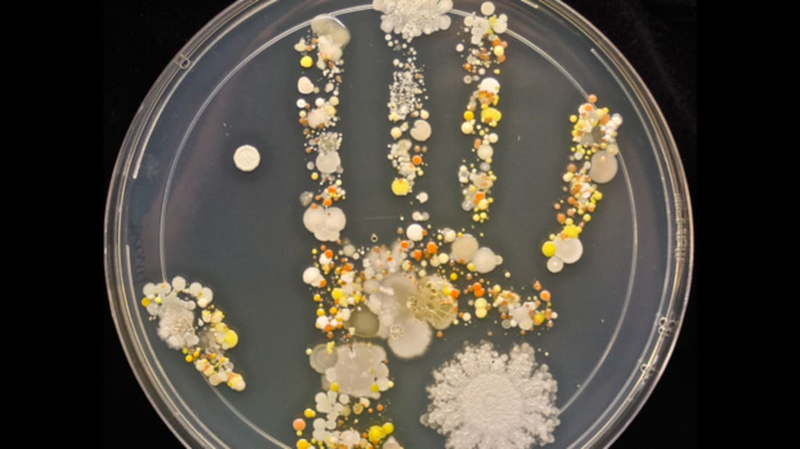 This is a total upgrade over the handprint-in-paint you get from your kid's school: Tasha Sturm of Cabrillo College found a gorgeous way to showcase the germs and microbes found on her 8-year-old son's hands after he played outside. Using a large plate with Tryptic Soy Agar, the mother constructed a giant petri dish. After her son pushed his hands into the dish, the whole thing was covered and incubated at 37 degrees Celsius for two days, then spent three more days at room temperature. The resulting colonies create a beautifully colorful collage. Some possible bacteria found include Bacillus sp and Staph, according to Sturm.